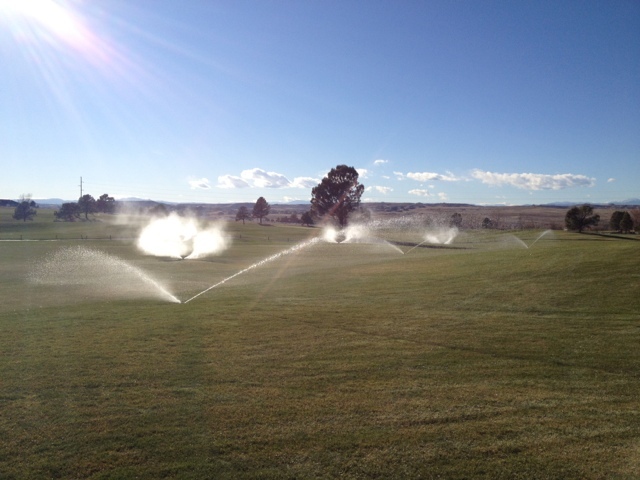 of the Rocky Mountain region from Toro and Travis Abitz golf irrigation sales Rocky Mountain region for Toro. To assist us in our blow our procedures. The main reason the representative from Toro are on property are to help with our blow out and see why we are blowing are 780 series heads tops, especially during blow out and spring charge up. When the representative arrived on Monday we walked them through our entire blow our procedure. Both reps were pleased with our plan and the way we execute it. On the end of the second day we were finished with the entire course and Jim and Travis were both impressed with how we handle blow out, we are the poster child for golf course blow out. So we will see them in the spring for charge up and hopefully we can figure out the problem with the 780 heads.